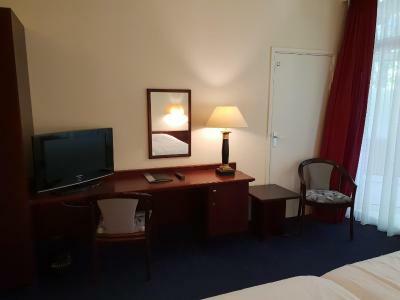 The location, staff, cleanness of the room, easy check-in. Sraff was hard to get. They were busy and not at the reception. Same when I was in the restaurant they were somewhere else. The bed was extremely comfortable, and the shower was superbly powerful. The restaurant menu was excellent. Plenty of parking, and the location in the woods is unusual. That books ordered privately from a source in the country, giving my name c/o the hotel were placed in my room pending my arrival back at the hotel from a day out and about. Lovely location deep in the forest. A cross between The Shining and Fawlty Towers but in a good way. I liked being able to open a door into the garden from my room and listen to the big oak tree rustling in the night. We ate in Wageringen, about 10 minutes away. Wide choice of restaurants with vegetarian options. Nol in 't Bosch This rating is a reflection of how the property compares to the industry standard when it comes to price, facilities and services available. It's based on a self-evaluation by the property. Use this rating to help choose your stay! 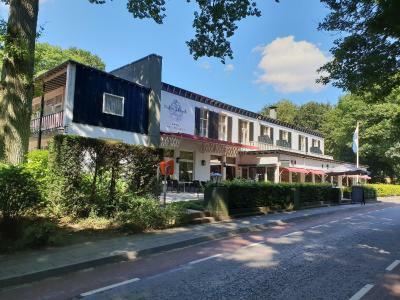 Hotel Restaurant Nol in 't Bosch is located in quiet surroundings in one of most beautiful forest areas of the Netherlands. 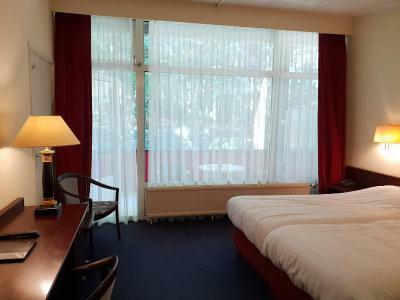 Park your car free of charge at the hotel and relax in the comfortable rooms. 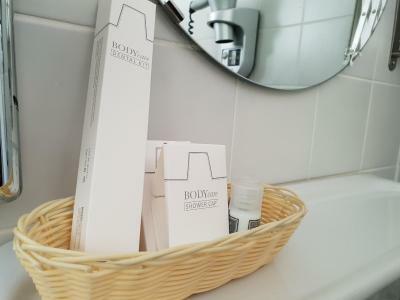 The guest rooms are well-kept and are nicely furnished. Each room has a private bathroom. Most have a private terrace or balcony. In the morning you can enjoy a tasty breakfast buffet. 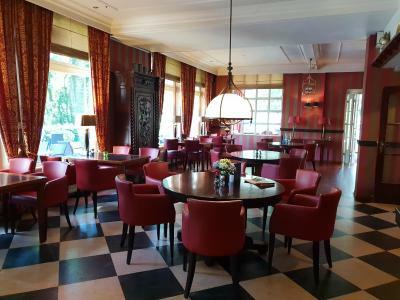 The restaurant offers an extensive à la carte menu with various dishes. 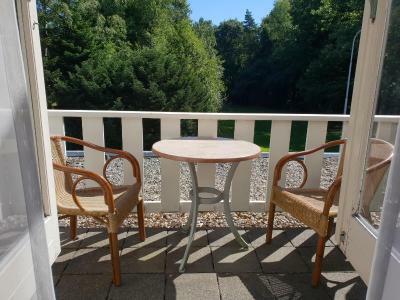 If weather is nice, you can sit out on the garden terrace and have a drink or read a book. 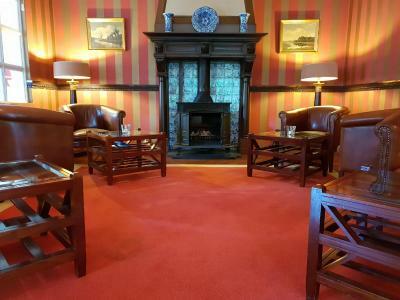 The hotel is ideal for walking or cycling trips. 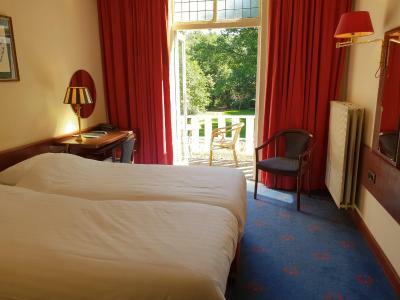 Within 20 minutes by car you will find the zoo, museums and the National Park Hoge Veluwe. 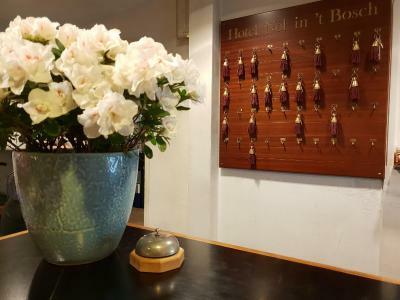 When would you like to stay at Nol in 't Bosch? This room has no capacity for extra beds. Children can be accommodated in existing beds. 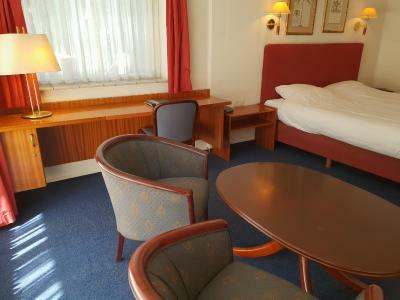 This spacious room has a sitting area and a large balcony. This room benefits from garden views and a balcony or terrace. This room has no capacity for extra beds. Children can be accommodated in existing bedding. This room benefits from a balcony or terrace. This spacious suite includes a sitting area and a balcony or terrace. 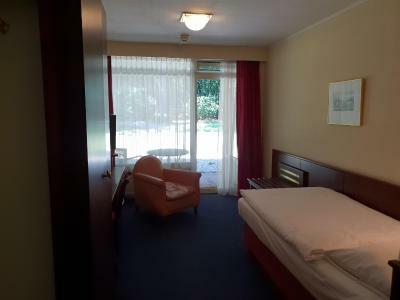 A room which has a TV and private bathroom with a bath. House Rules Nol in 't Bosch takes special requests – add in the next step! Nol in &#39;t Bosch accepts these cards and reserves the right to temporarily hold an amount prior to arrival. Nol in 't Bosch accepts these cards and reserves the right to temporarily hold an amount prior to arrival. Please inform Nol in 't Bosch of your expected arrival time in advance. You can use the Special Requests box when booking, or contact the property directly using the contact details in your confirmation. No Wifi in the room, Uncomfortable mattress, cold room. The rooms were very cold and the heating did not work. The bathrooom was too cold to shower in in the morning. Drafty cold air came in through the window and I was cold all night, even though I wore warm clothes to bed. Room and bathroom a little outdated. Very tired and dated. WiFi doesn’t work most of the time - too slow to even download text emails. 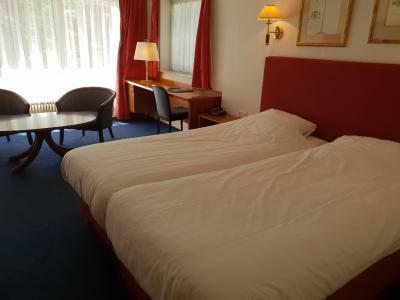 Rooms are spacious but very old fashioned 1970’s/80’s fixtures. Beds were very uncomfortable- mattresses were way too soft, like the springs were shot. No air conditioning or fans. Even with all radiators off, the rooms were unbearable - this was on an average September night. 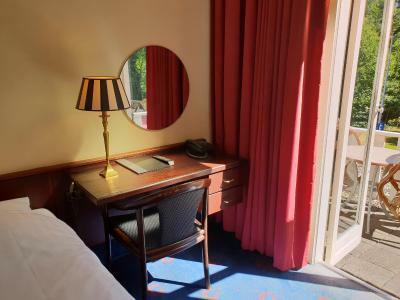 Such a shame as it could be a magnificent hotel with a bit of modernisation. 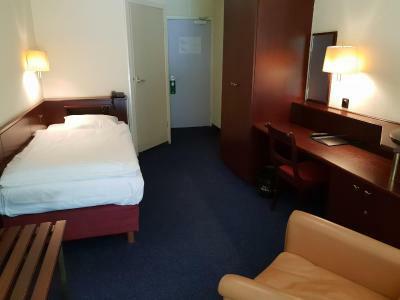 There was a bit of a musty smell in the room, possibly seeping in from the corridor, but disappeared with having the ensuite bathroom and bedroom windows open. It was unfortunate that the shelving, desk, suitcase rack, and wardrobe were all dark wood as the room was not that well lit. The decor was on the verge of seeming a bit tired. A bit worn and dated but great value, clean and lovely breakfast. 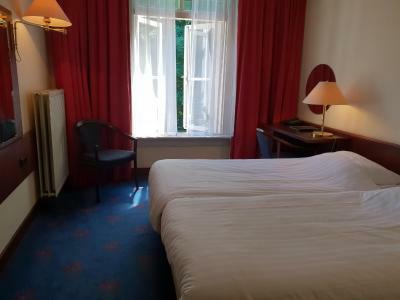 Old-fashioned interior, much too hot room, too soft bed, poor breakfast choices, wanting service (I asked to leave the window and curtain shut during the daytime to keep out the heat as much as possible and asked for a fan. Both requests were neglected.